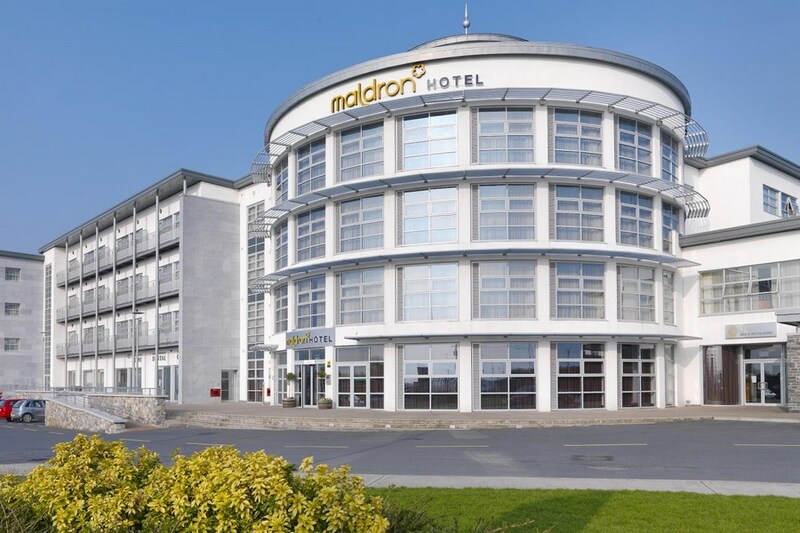 The Maldron Hotel Limerick is one of the most conveniently located hotels in Limerick City, just off the Southern Ring Road and the M7. 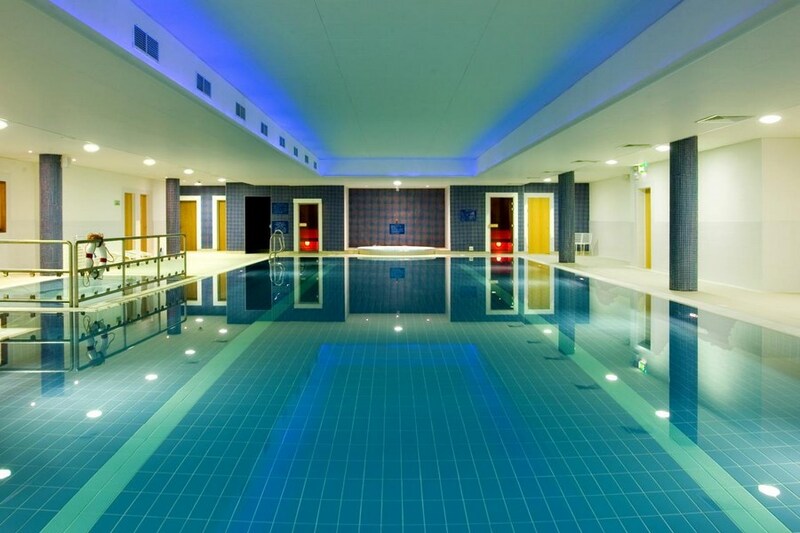 The hotel is also just 5 minutes drive from Limerick city centre. The hotel is in Roxboro just off the Southern Ring Road and the M7. Visitors to Limerick City will certainly have no problems in finding things to see and things to do. The historic nature of Ireland's third largest city, and indeed the beautiful nature of its environs, provide many areas of interest. While this Hotel isn’t set in the most scenic part of Limerick, it does offer a clean & comfortable stay. We received a friendly welcome at check in & a complimentary newspaper, which was a nice touch. The room was spacious, with a flat screen TV, tea/coffee making facilities, iron & hairdryer. The beds were wonderfully comfortable too. We made use of the leisure Centre facilities the next morning before a plentiful hot & cold buffet breakfast. 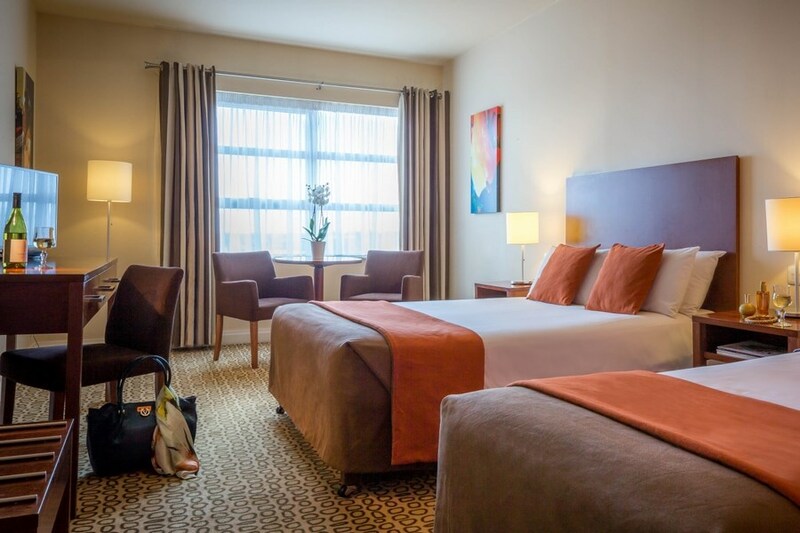 All in all the Maldron Hotel offers very comfortable accommodation, close to the city Centre, with the added bonus of an onsite leisure centre. We were given room 245, which had a balcony & overlooked the gardens. when we arrived at maldron hotel we noticed the window in our room was broken so we could not open it.contacted reception and a lady told us we could move to another room.at that stage we had unpacked.we decided to turn heat off and stay as there was a lot of luggage as we have a disabled child.The room was clean and beds very comfortable.there was no shower gel.we had to ask for it .The standard of food was poor.there was no music in bar all weekend.There is a halting site across road from hotel but there is a secure underground car park.we will not be returning. NIce hotel. Secure parking, which is good as it's not a great area of Limerick. Good food and lovely big room. There was a bit of noise outside our room from some machinery which meant we had to shut the windows at night. Otherwise very good. TV channels are a bit limited. Hotel excellent, room, breakfast and everything was perfect. The hotel was in the process of being painted during our stay so cosmetically the place is getting a revamp which is positive (pity it happened during out stay though) The bar has recently been revamped and looks spacious and airy, another plus, however the bar food is overpriced and really bland. No real sense of urgency in the bar either, I found the staff in general were really lackluster with a few exceptions. I'm not sure who the cook or restaurant manager was on Mon+Tues but both mornings the sausages in the hot counter were undercooked and I watched as each guest avoided them like the plague in the hour we spent there. Everything else got replenished. I must admit the error was corrected on Wednesday morning. We were happy with the beds and the room décor but the bathroom needs a revamp badly. So many broken tiles on the floor, its very dangerous. I found the plumbing in general to be rather strange, water pressure was too high at sinks and water leaking from the taps. I can excuse the tardy ensuite that needs a revamp but the new toilets at the bar and restaurant that have been revamped? Getting to the pool, we were directed to the family changing rooms as they do not permit fathers with daughters in the mens changing rooms. However the family changing room had had a bad stale smell and the shower gel looks like is never replenished. We enjoyed the pool, kids pool, and sauna. There seems to be a problem with the steam room door which I believe many members have complained about for a while now. This reverts back to the lack of urgency in general. I know I pointed out a lot of negatives about my stay but the hotel was clean, we got a really good deal from this website and we did enjoy our mini vacation. I just feel that with a few simple improvements this hotel can really shine. Hotel excellent, staff excellent, directions on how to get to the hotel which is posted on the hotel website was fantastic, no problem finding the hotel from them. Very helpful staff. Large twin room with ample bathroom. Great selection for breakfast. All in all great stay. room was nice and warm. facilities good. Bar had a cafe feel to it but food was very nice. Lots of selection for breakfast. Staff were very friendly and helpful. Room was a bit grubby and could do with painting. Lovely hotel. Rooms very comfy. Staff very friendly. Food was lovely. Lobby freezing cold due to the open plan stairs to the upper floors and the front doors opening and closing constantly. Hotel is easy to find and near shopping centres, town centre and easy to join motorway. Was very disappointed with view off halting site out window. And did not leave hotel in the evening for this reason. Staff were very friendly and helpful. Hotel looked old or not kept. Had lunch in bar during the day and it looked dirty and not clean. But ate there in the evening in a separate area away from the bar and this was ok. Main restaurant is only open two nights out of summer months. This was very disappointing. Leisure centre was ok. Could do with some slides for the kids. Very dull and dreary as there is no natural light. We thoroughly enjoyed our stay in the Maldron, the Staff were very friendly and super nice with the children especially. The Pool area is great for them to play in and the Food in the Bar was excellent....we would have no problem recommending it to our friends. Good hotel as a stopover for site seeing in the Limerick/Clare area.. Hotel facilities good. Food good. Staff friendly, especially Sophie in the restaurant! Staff very friendly. Hotel is in a horrible location with views of halting sites from the restaurant and rooms. Excellent family friendly hotel. Spacious rooms. Great leisure centre, very child friendly. Bar food absolutely excellent. Staff could not have been nicer. I would highly recommend this hotel and hope to stay here again. The Maldron Limerick has become old and tired since we last stayed there.Communal spaces are clean and bright but the room was shabby and the walls,chairs and carpet were not clean.The fabric chairs were particularly bad.We stayed on a bed and breakfast rate and the breakfast was fantastic.All self service,great choice and eat as much buffet style.They even provide disposable cups and lids for coffee/breakfast on the run.We used the pool which was small but very clean and pleasant.The location is opposite a residential camp but this does not affect the hotel or noise level.Ask for a room at the back of the hotel as main road at front very noisy .Not a hotel for luxury but well priced,functional and pleasant staff. The 4 of us stayed 2 nights over the weekend, in a family room which was very clean and had plenty of space, all the beds where very comfortable and we all had a great 2 nights sleep. the breakfast was excellent both mornings with a wide choice for all of us. we had the use of the leisure centre both mornings which we and the kids both loved. we especially liked the late check out we had Sunday afternoon. If we were to visit Limerick again we would definitely stay in this hotel. Very nice hotel, everything was clean and spotless, staff were very nice and friendly, food was gorgeous. very nice hotel.staff were excellent.rooms were spotless.kids loved the pool.would stay again. Hotel was ok the room was clean the bar food & restaurant food was nice. The Cooked breakfast was very poor it was dry & over cooked we ordered some fresh egg which were very nice. we were woken on the Friday night sat morning due to some residents having a fight. We stayed here for a two night break over the bank holiday weekend with our two children and my parents. I cannot fault this hotel at all the staff were all so helpful especially the bar staff who made us feel so welcome and went out of their way to make our children feel comfortable. We will definitely be returning to this hotel when we are in limerick next. The facilities were great and the hotel was so clean. stayed here for one night recently when booking we requested a room with balcony facing the garden . upon arrival we were given the opposite and the manager was very unhelpful and quiet rude who upset my partner. food is fair but we had a lovely polite waitress who did everything she could to help us. will not return again bad managerial staff. This was a wonderful break, made all the better by the staff, who couldn't ha e done more for us! We had 5 small children in our group, the staff were particularly helpful around the children. From the reception desk to the lunch staff, dinner staff and swimming pool staff they were all extremely helpful. We will definitely stay here again. Stayed there with my wife for my 40th and I really enjoyed it. The food was gorgeous, the room was so comfortable and the pool was the nicest pool I have been in for a while. The staff were really friendly. Would definitely go back and would recommend. Declan & Sabrina. This hotel was nice and clean. Breakfast in the morning was very nice with a large variety of food to choose from. Staff were friendly. The only thing is this hotel isnt in the city centre as such but its only a 2minute taxi journey into the city centre. I would definetly stay here again. Hotel was excellent however same deal was available cheaper direct from the hotel so buyer beware!!! We arrived at the Maldron on a very busy rugby weekend and were surprised at how quickly and efficiently the reception staff booked us in - even ensuring we got rooms next to each other. The hotel was lovely with entertainment on both Saturday and Sunday night. The buffet food was lovely and they certainly piled it on your plate!!! Breakfast was well organised and had a good selection to cater for everyone. Overall I would definitely stay in this hotel again with the reception staff being so friendly and helpful for anything we requested - nothing was too much trouble. A special mention to the lovely Eileen who really went the extra mile. Very nice hotel especially the friendly staff. Room was lovely overlooking garden with balcony. Dinner in bar was very good as was music.Would stay here again. really enjoyed our stay staff very friendly an helpfull requested quiet area in hotel disappointed put on ground floor near reception an smoking area very noisy on sat night overall nice place.